This post has been a real labour of love for me. 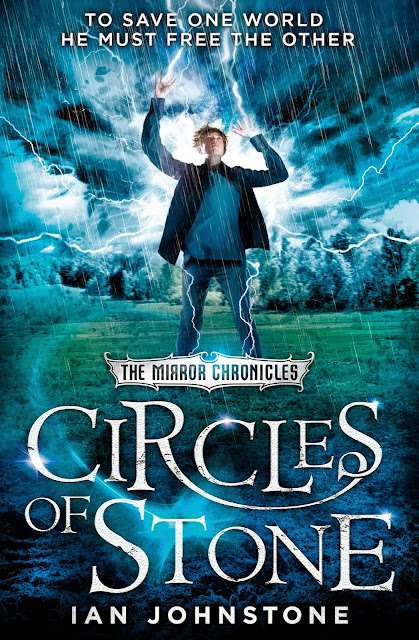 Therefore, it gives me great pleasure to be able to share, for the first time, the first three chapters of Circles of Stone. This is the second book to be published in The Mirror Chronicles by Ian Johnstone. The first book, The Bell Between Worlds, is still one of my favourite fantasy reads, even now. If you are interested, my book review can be found HERE. Published by HarperCollins Children's Books (2 July 2015) pre-order it now. I want to read your review, but when I tried to click on the word "HERE" (in red), nothing happened. It's working now, I really appreciate you letting me know. Have a good one J M.